Great street appeal Brick & rock exterior & covered front porch. Open plan great for entertaining. Spacious great room with vaulted ceiling & striking stone fireplace. Pretty wood floors in great room, kitchen, breakfast area & dining room. 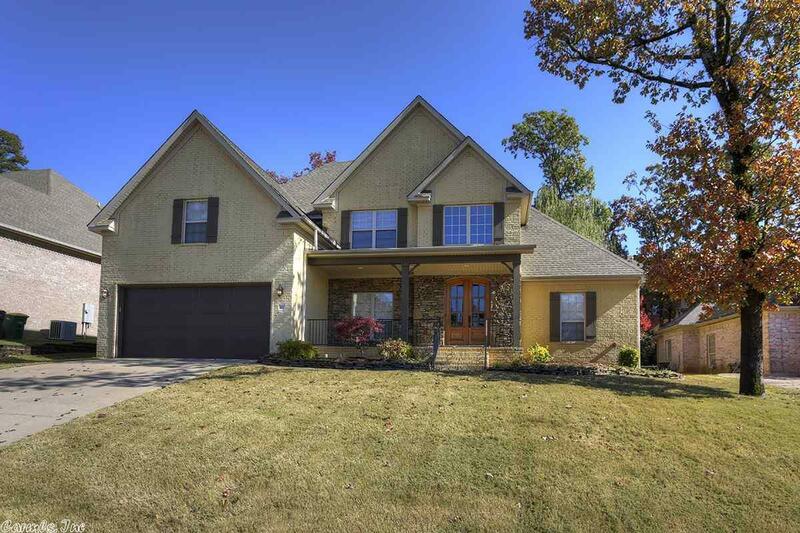 Large master on the main level with fireplace & french doors open to covered patio. Nice kitchen with granite custom stained cabinets & tiled back splash. 2 large bedrooms up with XL bonus room. Park like backyard with water feature. Sprinkler & alarm. Really nice home!